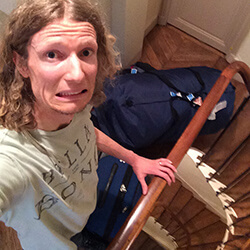 Asher has been an enthusiastic traveler since he left Australia to study abroad in 2004. He has lived all over the world including India, Europe, Hawaii, and mainland US. 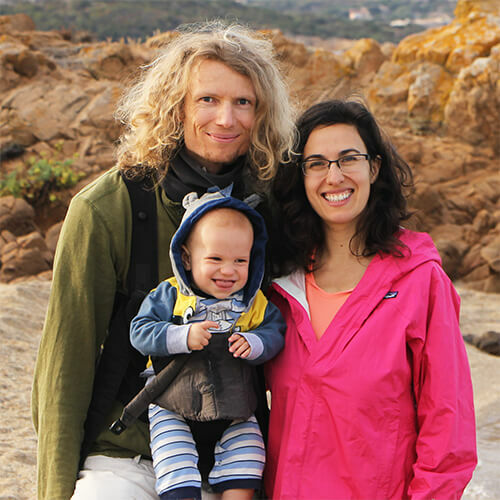 He enjoys researching the travel industry, loves being a dad, cooking & eating delicious food, photography (took many of our photos), surfing big waves on Maui, camping trips and walking barefoot on the earth, sharing tips about India travel, art, meditation and yoga. Lyric is an accomplished poet, best-selling author, singer/songwriter, cook, and mommy of two amazing little kids! After growing up in Hollywood she decided to delve into a profound spiritual journey and became a yogi-monk for almost a decade. She loves traveling the world (Paris is her favorite city), going on cruises and hanging out at the beach with her hubby, Asher, kids Kingsley and Aurora, and sharing her experiences with you! We love traveling! 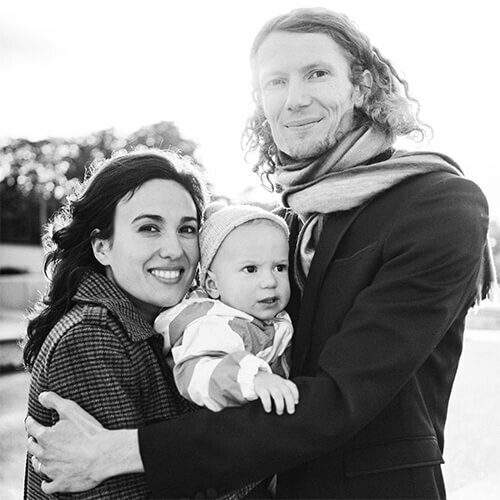 Together we have visited and lived in almost 20 countries—Asher has been abroad for his entire adult life, and Lyric has resided in nine different US states. In other words, we are always on the go and our passion is sharing tips to help make your adventures as amazing, safe and smooth as possible. In 2016, we welcomed an incredible baby boy named Kingsley into our lives. Kingsley has already been to Paris and Sardinia — he is a fantastic little traveler! In 2018, we had our second child, a girl named Aurora. 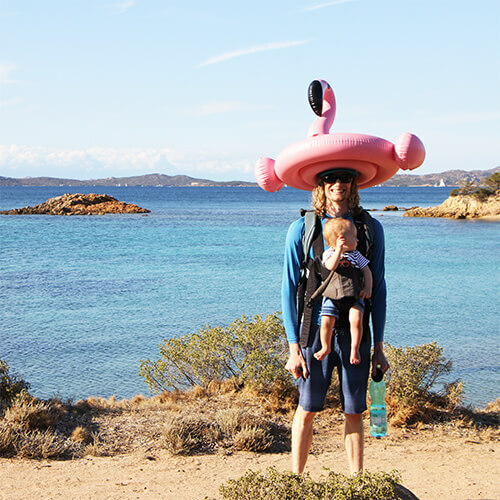 We love sharing tips on how to maintain a healthy, happy, and balanced family lifestyle in addition to traveling with a baby. Understanding a country’s culture through it’s fashion is something we really cherish. From India to Italy to Hawaii (and everywhere in between) we offer extended what to wear guides to help you feel more at home on your global travels. Lyric especially loves helping you dress fashionably, practically and feel super snazzy in every location. Exquisite food is the foundation of life! Every place we travel, we go in search of the most mouth watering meals available. Asher is a vegetarian and Lyric is paleo. 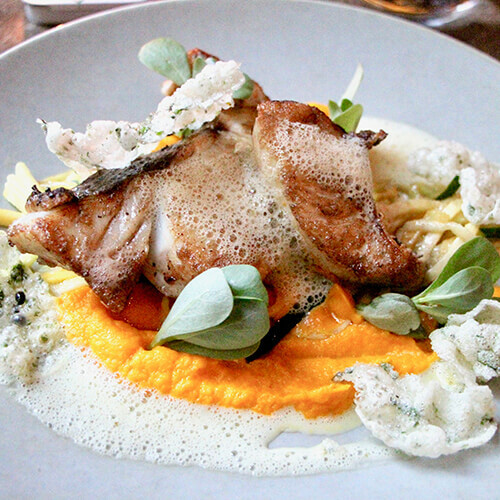 We sample, photograph, and write about these meals so we can share them with you! We also love sharing our recipes and cooking tips for at-home delicacies. In March 2018 we did our first ever cruise and sailed to the Southern Caribbean. We successfully escaped the tail end of a freezing cold winter and had an incredible beach vacation! 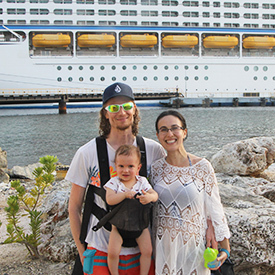 In this family photo journal you will get a glimpse of our adventures in Puerto Rico and on our Royal Caribbean Cruise to Curacao, Aruba, Bonaire, and St. Maarten. Lyric was 5-months pregnant with Aurora (our daughter born in July, 2018) so it also acted as our babymoon. In September 2017 we had multiple dangerous Airbnb experiences in Paris while on vacation with our 10-month-old son. These experiences led us to do in-depth research surrounding Airbnb and the experiences shared by other guests. We’ve found that Airbnb effectively gives carte blanche to scammers and criminals and that the platform harbors numerous listings that do not meet basic safety requirements. All of this could be prevented if Airbnb fixed the loopholes.